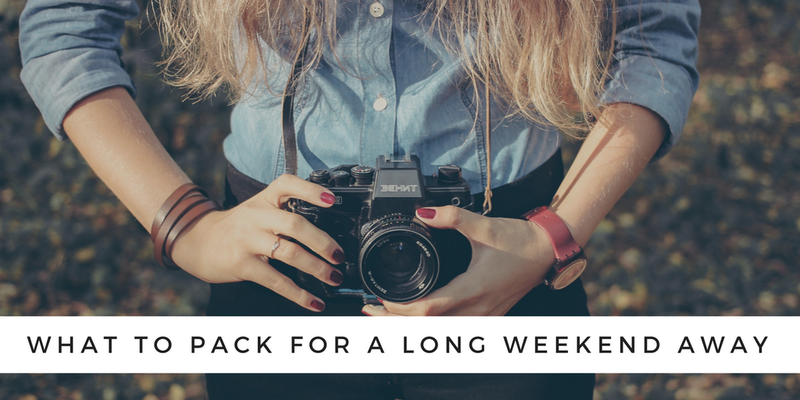 In anticipation of Monday’s public holiday, I’ve put together a long weekend packing guide to help get your laid-back look covered wherever you’re headed. For a three-day weekend away, you really only need a handful of outfits; three outfits for day and two for night. I’ve included three bags – a weekender for packing, a metallic tote for day and a great black clutch for night and kept it simple with a pair of heels and a pair of flats. 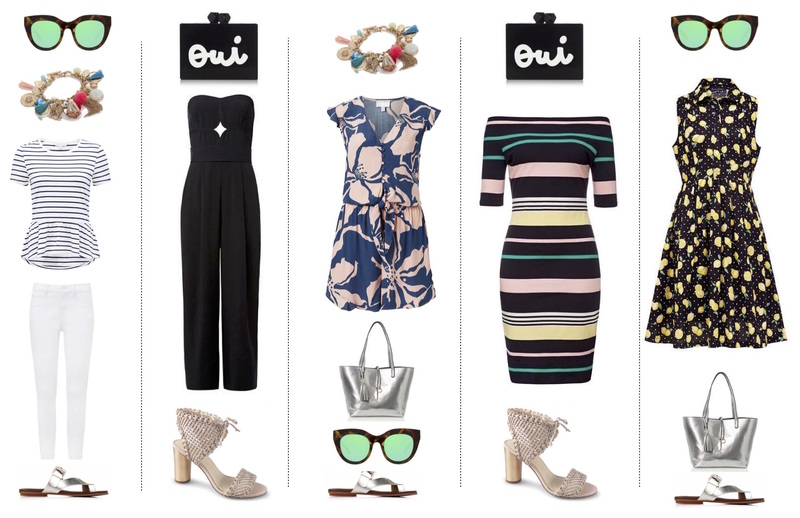 When it comes to outfits, keep it simple with a couple of dresses, jumpsuits and a pair of jeans. Because it can still be cool, add a denim jacket or bomber which you can throw on over your day outfits (or tie around your waist) or drape over your shoulders at night. Even though it’s not summer, it’s still important to keep sun safe so be sure to pack a hat, sunglasses and sunscreen. And of course, you’ll want to capture all those insta-worthy shots of sunsets and cocktails, so don’t forget to pack your camera! Are you heading away this weekend? 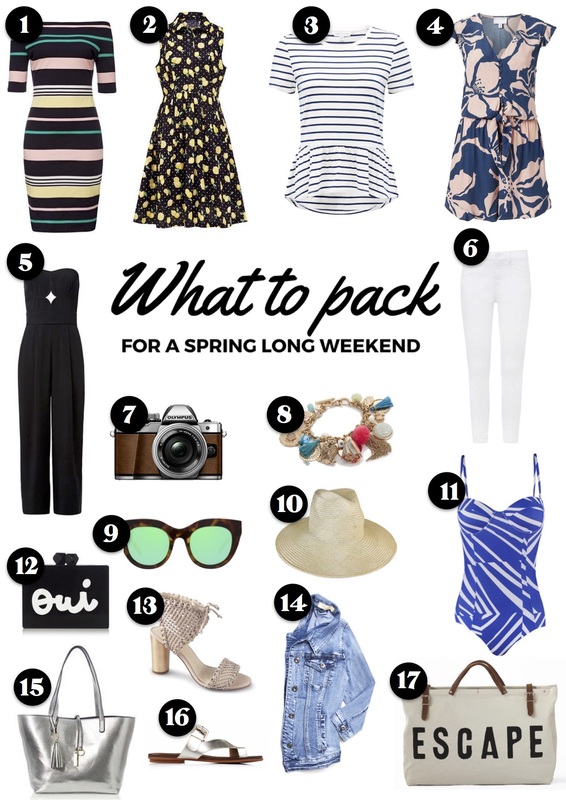 What are your favourite packing tips?